"Stephen Hill is a creative genius of marketing per excellence. He managed to get into many UK newspapers by explaining how thinking about Tony Blair buying a burger helped him overcome his stutter. He claims "I would love to be able to report 95-100% success, however I believe it is more like 85%. To achieve fluency takes a lot of hard work and practice, unfortunately not all of my clients seem willing to put this effort in. ", and with one stroke isolates himself from any criticism: if you dont succeed, you only have to blame yourself. The Stuttering Brain is convinced that Stephen Hill is misleading potential clients by claiming 85% success rate. His methods are also remarkable: "I achieved fluency by concentrating on how fluent people spoke. Therefore my method is speaking, thinking, and breathing how fluent people do." So the way to speak like normal people is to speak like normal people. WOW! Please note, that Stephen Hill is not the son of the UK comedian, Benny Hill, whose most famous feats involved being chased by semi-naked young girls. 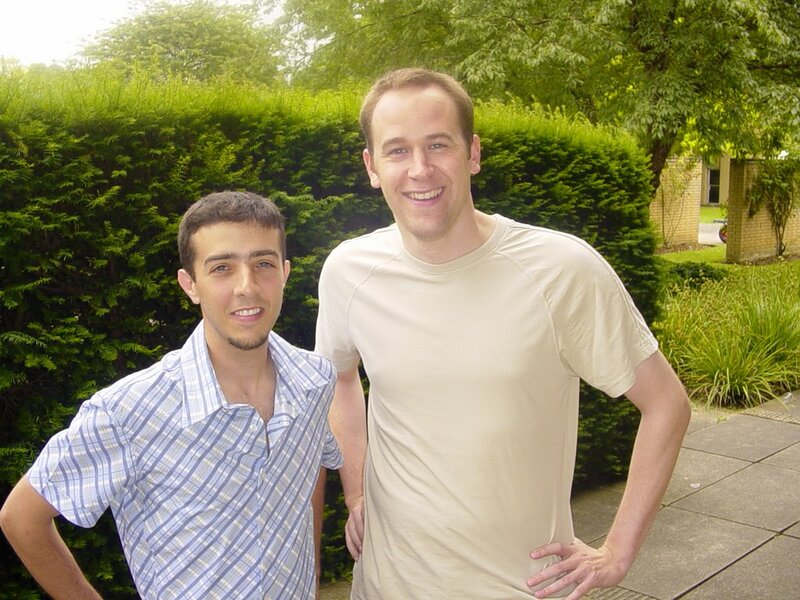 He is not a comedian, but gets paid for advice by people desperate to get rid of their stuttering." P.S. The award aims to name and shame people for outrageous claims about PDS, especially those that try to make money out of promises for a cure. I would be interested in hearing your views on the application of NLP/Neurosemantics in the treatment of stuttering. These approaches to stuttering have become wildly popular in recent years. Well known NLP practitioner Tony Robbins has claimed to have cured stuttering in one session. Bob Bodenhamer of Neurosemantics has claimed to have cured stuttering in two phone sessions. These are lofty claims that I have a difficult time believing. The "therapy" is based on the idea that stuttering is a cognitive problem with no physical or neurological correlate and once you have your head screwed on straight you will be fluent. Yes, Bodenhamer is on my watchlist! :-) He wrote an article in Speaking Out, and I am hoping to wrote a Letter to the Editor. I am short of time. To summarise, NLP/Neurosemantics or any other techniques like auto-suggestion and motivational techniques are very useful to change behaviour, and so are helpful in achieving more fluency. However, Bodenhamer and other practitioners are pushing it far too hard: see cure or we understand stuttering. His statement in Speaking Out on the nature of stuttering are ill informed and ignorant of the new research coming out. If it is all in the mind, so how come genetics matters. How come the brain scans of people who stutter are different? How come they are worse in dual tasks? More soon..
Oren aka The JellyFishKiller has sent me an article describing a cure for stuttering. I have tried it, and it works very well!!!!! So this is going to be my last post. Sorry, I am not posting a lot currently... I am out of ideas. But, yesterday, I had an interesting idea! One of the biggest problems for researchers (in general and in stuttering) is to get enough people to participate in their experiments. Typically, you need between 10 and 20 people, and often one control group and one stuttering group. This is not easy, and you need to advertise your experiment, get 20-30 people to agree to participate, schedule 20-30 meetings, and do 20-30 experiment. Why can you not do the experiments via the web? You can reach many more people, and 20-30 will always participate. The easiest experiments are questionaires: just create a webpage with a form structure and a database behind. This is a standard technique. But you can also do more sophisticated experiments. For example, the experimental subject uses a software where he needs to press some button or react to a visual stimuli. Such software can be written in Java, and using Java Web Start they run on your computer via your webbrowser. You have probably noticed that I have installed a donation button. I spend a lot of time and money researching and attending conferences as a self-financed researcher. There might be a few of you who want and have the means to support me. I am testing whether this could be a means of getting money. Any donation would go towards my new project. I want to create a website dedicated to stuttering research. If you want to invest serious money in advancing stuttering research, please contact me under tom.weidig "@" physics.org! I'll be happy to advise. So here is my possible interpretation of Carl's introspection: see last post, too. When we are in a more emotional state, we have less control over our motor and cognitive functions. And we are more slaves of our emotions, which was very important for our survival thousands of years ago. Also, you are more likely to have a racing mind when you have a bad day. Even "normal" people stutter when under extreme stress or emotions, but we just have a very low threshold. when I force myself to say one-word-after-another, cancelling all blocks with great deliberation, I seemingly stutter more badly for the first seconds, and then, if I allow my mind to slow down and go into synch with my speech, I'm completely fluent. 1) What you describe, sounds like a transition from one system to another. You go from your old car, which is very slow, to your new car, at first, you are slower driving your new car as you need to get used to the new car. Or you fire a bad employee, and hire a good one, but it needs time for the good one to become more effective. Thus, the phenomena of it getting worse before getting better is a very very general phenomena. 2) The same phenomena will happen if you switch to singing, chorus reading, reading, voluntary stuttering, acting, speaking loud and so on: see what Per thinks here. You switch your focus to how you say things. To summarise, you start out the day without thinking about how to speak, you focus on the message, you notice that you stutter, you switch to a different mode, this causes you initial problems, then you are fully tuned into the mode, and you are more fluent. This is all at a very slow pace. If I continue with that, resisting my extremely strong urges to lose focus on a single thought-process, and see each word in my mind before I say it, it becomes easier within a few minutes, and I can speed up just a bit. If I continue this with various strangers throughout the day (also using breathing techniques), I'm almost completely fluent by the end of the day. The more you are tuned into the mode, the easier it becomes. And also, you are less concerned by your speech, and you become more relaxed which also makes it easier. The urge of the mind to skip back into its default, unfocused, stuttering "track" remains, but will presumably lessen or go away with time. This is also a very general phenomena. Take eating chocolate or starting jogging. At first, it is hard, and then it become easier. But there is still an urge to go back, and eventually you succumb to it slowly but surely. To summarise, what Carl describes are very general phenomena happening in many different non-stuttering situations. Though they are not very important from a science point of view. But the most important insight is to ask why he becomes more fluent in this new mode. And here there is one theory, revived by Per Alm, that we have two system: one unstable automatic speech and one normal for active-control-over-how-we-say-it speech. I am currently editing a debate between Scott Yaruss and Mark Onslow. I want to share with you some of the questions that they have raised and are still unanswered by research. Why do repeated movements predominate at the onset of stuttering? Why can stuttering be intractable for a lifetime? Why do those who stutter have problems with tapping finger sequences? Why do those who stutter have the problem while playing wind instruments? Why does stuttering behavior start in children at a time of rapid expansion in linguistic, motoric, and temperamental aspects of their development (see the work of Conture, Yairi, and many others)? 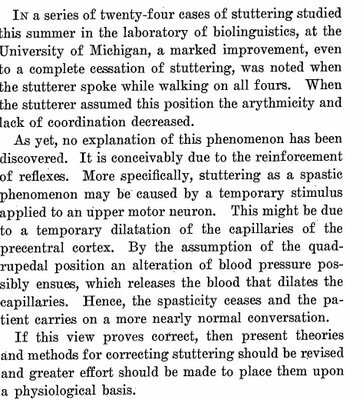 Why do people who stutter react to stuttering in the way they do (see the work of Cooper, Manning, Murphy, Quesal, Sheehan, Williams, and others)? Why does the occurrence of stuttering behavior seem to be so closely linked with aspects of language planning in both young children and adults (see the work of Bernstein Ratner, Conture, Hall, Howell, Logan, and others)? What is the meaning, in particular, of the apparent linguistic associations in the loci of stuttering? Why do people who stutter show differences in motoric stability (Smith) and linguistic processing, even when they are not engaged in speaking tasks (Weber-Fox) and why do these factors appear to interact? 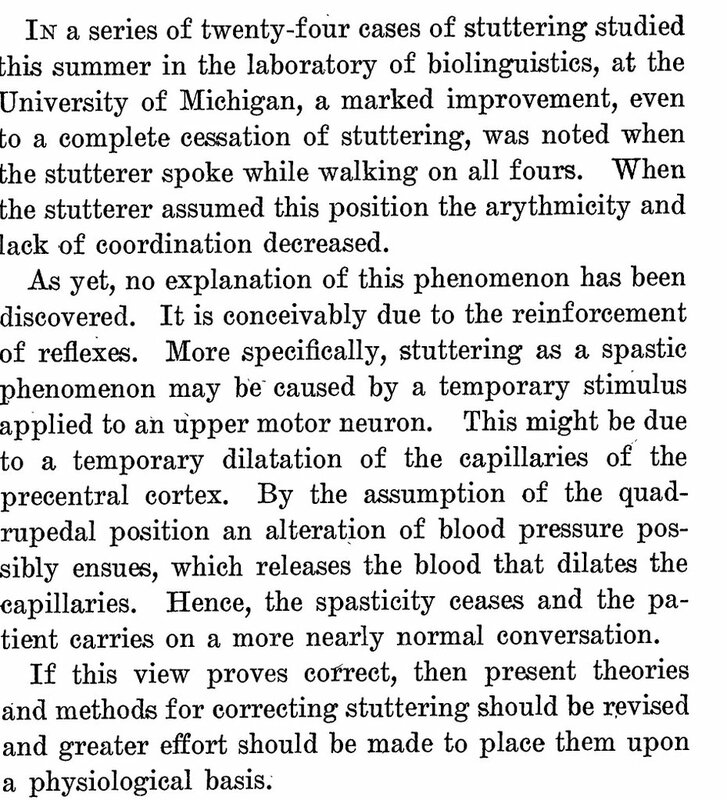 Why do people who stutter show differences in neural functioning and possibly even structure (Blomgren, DeNil, Foundas, Fox, Ingham, Maguire, Riley, Watson, and others)? What is the meaning of the temperamental differences between children who stutter and children who do not stutter that have recently been highlighted (Conture, Oyler, others)? What of the fact that multiple loci seem to be implicated in genetic modeling of stuttering (Ambrose, Cox, Drayna, Felsenfeld, Yairi, and more)? 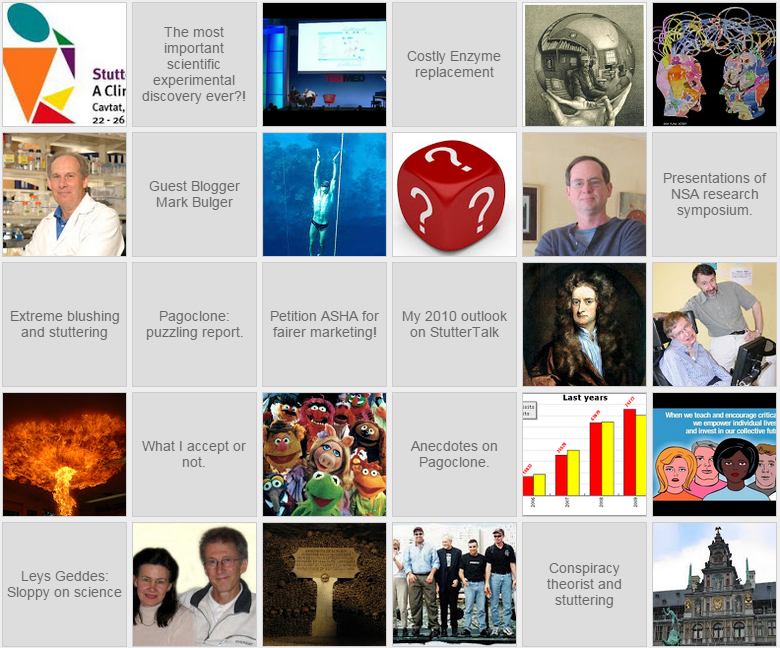 But I have also been busy working secretly in the background on stuttering research. First, I am organsing a research plenary with talks and discussion forum at this year's British Stammering Association (BSA) conference in Telford. I was able to get leading researchers of different areas coming to Telford. I'll tell you more about this exciting event once the details are sorted out. Second, I have been editing the debate between Scott Yaruss and Mark Onslow on therapy approaches to childhood stuttering. The debate will appear in Speaking Out, the BSA magazine. The editing took hours, but now I understand the arguments put forward much better! I'll probably post the debate on my blog piece-wise if the BSA editor gives his OK. I discuss how best to do the statistical analysis of the outcome data of early childhood intervention. The natural recovery rate of dysfluent children significantly complicates the statistical study of the outcome data. I argue that the standard random control trial setup needs to be modified, because children are randomly assigned to the treatment or control group and by chance one group will have a higher natural recovery rate. I also point out other conceptual difficulties when using a randomized control trial setup. Finally, I suggest that there is no need for a control group, also because other studies have already determined the natural recovery rate. But really it's a bit of nonsense to ask for an abstract months before the conference. I will only loosely stick to the abstract. Most researchers are writing the abstract before they write the presentation and paper! Holger Stenzel sent me these interesting meeting dates on medication. ASHA SID 4 Leadership Conference, May 31 - June 3, 2006, San Antonio, TX. Blomgren, M. (2006). Pharmacologic treatments of stuttering: Recent research and current findings. Invited presentation. 46th Annual New Clinical Drug Evaluation Unit (NCDEU) Meeting, June 12-15, 2006, Boca Raton, FL. Maguire, G., Riley, G., Franklin, D., Blomgren, M., Soni, P., Yaruss, S., Denko, T., Davis, L., Davis, A., Silverman, A., Sabounjian, L., & Shipley, J. (2006). Enhancing precision in clinical trials: Methodological issues in assessing the pharmacologic treatment of stuttering. Abstract: Stuttering is classified in the psychiatric nomenclature of DSM-IV. In spite of such, relatively little research has been conducted into possible psychopharmacologic treatments. Clinical trials utilizing double-blind, placebo-controlled designs have found that novel dopamine blocking agents are effective in reducing the severity of stuttering but are associated with significant side-effects. The most comprehensive pharmacologic trial to date in stuttering has recently been completed and evaluated the efficacy and safety of pagoclone, a novel nonbenzodiazepine GABA partial agonist with a unique mechanism and the potential to provide a favorable safety profile. Data from this multi-center, double-blind, placebo-controlled trial will be presented. Annual Conference 2006, June 28 - July 1, 2006 in Long Beach, California. Dr. Maguire will discuss with his fellow NSA members not only the latest in research investigating pharmacologic treatments for stuttering but also his own personal journey as a person who stutters. He asked me whether he should go to the IFA conference in Dublin or the speech motor control conference in Nijmengen. The difference between the two conference is that IFA 2006 is much broader and covers everything on stuttering: from personal experiences to hard-core science. The Nijmengen conference is only science and focussed on speech-motor control.